[S6] Cokayne, and others, The Complete Peerage, volume VIII, page 108. [S6] Cokayne, and others, The Complete Peerage, volume II, page 504. From 20 July 1685, her married name became le Vasseur. 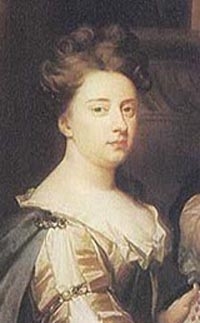 From 1702, her married name became Villiers. Louis James le Vasseur, Marquis de Puissar married Katherine Villiers, daughter of Sir Edward Villiers and Lady Frances Howard, on 20 July 1685.1 He died in 1701.